Adewuyi is an Industrial Chemist and a Lecturer at Redeemer’s University, Nigeria. He is a TWAS Young Affiliate for the period 2014 – 2018. He is a recipient of the African Union -TWAS Young Scientists National award (AU-TWAS award, 2014), The Dhirubhai Ambani award for outstanding Chemical Engineering Innovation for the resource-poor people (IChemE, 2014), TWAS-CNPq postdoctoral fellowship (Brazil), IFS water research grant (No W/5401-1), Schlumberger excellence in education development, TWAS Biovision Next, AAS-icipe-TWAS-ROSSA travel grant, Royal Society of Chemistry travel grant, TWAS/DFG, Coimbra Group Scholarship and TWAS Advance Training Fellowship- to mention a few. 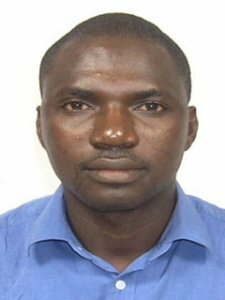 Over the years his research activities has focused on the industrial application of underutilized seeds and seed oils in tropical Africa which cuts accross synthesis of surfactants, biofuel and major oleochemicals and their applications in waste water treatment, corrosion control, environment and food. He has authored over 40 publications in highly reputable internationally recorgnized journals.